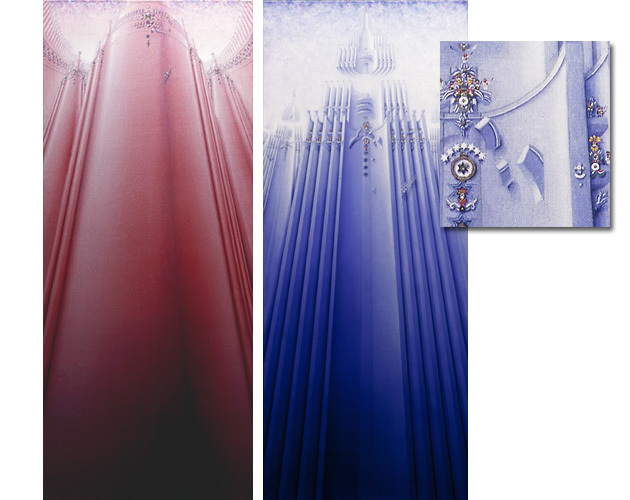 Left; "Red Tower III" Acrylic on canvas. 170 x 70 cm. Right; "Five stars" Acrylic on canvas. 170 x 70 cm, including detail in corner. Click Image to really see the details!